Climate change is affecting Central Asia’s people and biodiversity alike. 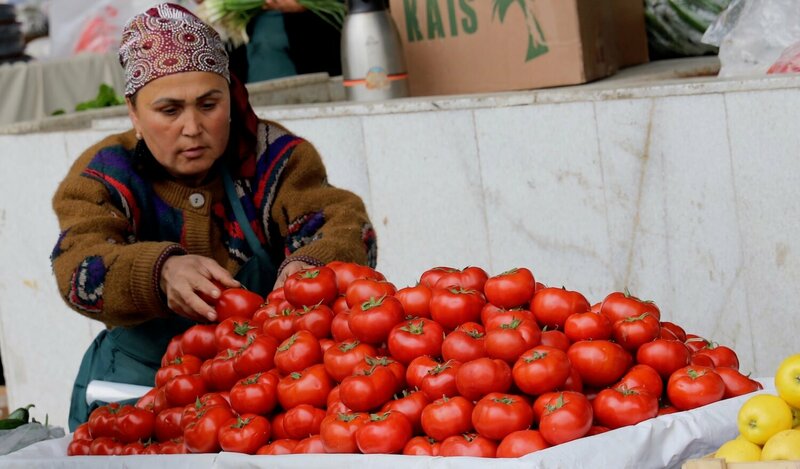 Its negative impacts are taking a toll on the economy, and more specifically on the long-term productivity of the agriculture in the region, which includes Kazakhstan, Kyrgyzstan, Tajikistan, Turkmenistan and Uzbekistan. 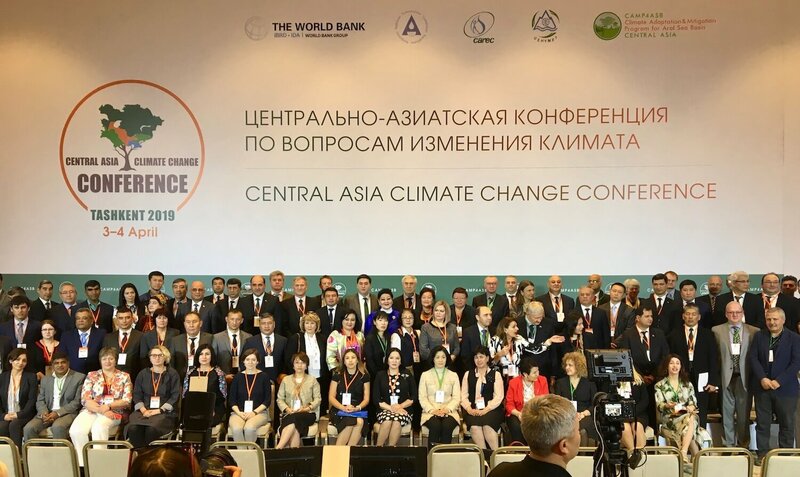 These impacts were among the subjects addressed at the Climate Change in Central Asia Conference held 3-4 April 2019, at the Regional Environmental Center for Central Asia (CAREC) in Tashkent, Uzbekistan. The Government of Uzbekistan and the World Bank organized the event. More than 300 people participated, representing Central Asian governments, international and regional organizations, multilaterals, civil society organizations and representatives of the environmental sector. Participants of the climate change conference. In this context, I presented the future investment that CEPF plans to make in the Mountains of Central Asia Biodiversity Hotspot, stressing that wild lands and biodiversity must be conserved to increase the resilience to climate change. But what are the expected impacts of climate change on biodiversity? Mountain forests and pastures are expected to move up in elevation and to decrease in size, but it is not known if higher elevation soils will support these ecosystems. Some mountain forests will be replaced by slow-growing juniper forests with lower levels of species diversity. The number and intensity of wildfires is expected to increase, placing remnant forests at risk. With shrinking habitat, there will be greater conflict between humans and wildlife, further decreasing wildlife populations. We may expect a shift in habitat extent for some plant species and animal ranges, inducing elevation changes in the spread of mountain forests and changes in birds and mammals’ habitats. We may also see an increase in pressure levels for threatened species, endemic species and unique ecosystems. Climate change combined with fragmentation and overuse of mountain ecosystems have already had impacts, reducing the overall population and global distribution of mammal and bird species. Finally, we may notice changes in water quality and quantity that will impact freshwater species and ecosystems—and the human communities that depend on them. 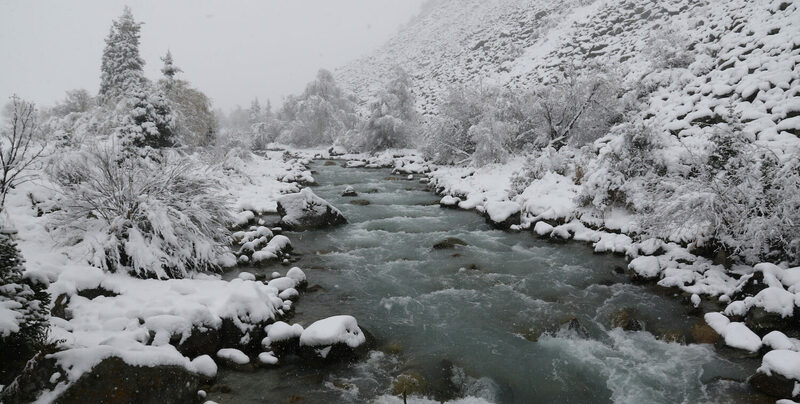 Central Asia also is exposed to the potential threat of an increased number of water-related natural disasters in the short and medium term as a result of the intensive melting of the Tien Shan and Pamir glaciers. All countries of the Mountains of Central Asia, as part of the Paris Agreement on Climate Change signed in 2015, have plans to reduce their carbon emissions. In addition, they have adopted the Astana Declaration in 2018, which, among other things, plans to restore 2.5 million hectares of forest ecosystems. Through its investment in the region, CEPF will put nature at the center of climate action. Ecosystem-based adaptation to climate change is relevant to the Mountains of Central Asia because it integrates the conservation and restoration of biodiversity and ecosystem services into broader climate-change adaptation strategies. This approach encourages conservation, improved management and restoration of ecosystems to provide services that people need in order to adapt to climate variability. The aim is to maintain and increase resilience and reduce the vulnerability of ecosystems and people. Climate change could have severe negative consequences on agriculture in the region. Ecosystem-based adaptation can be inexpensive to implement relative to infrastructure-based adaptation, and can generate important social, economic, biodiversity conservation and cultural co-benefits. The UNFCCC has recognized the role that sustainable management of natural resources can play in building resilience of socio-economic and ecological systems as part of climate change adaptation strategies. Globally, nature-based solutions, such as conservation and restoration of natural ecosystems, could provide as much as 30 percent of mitigation measures needed to limit global warming to below 2°C. CEPF will start a first grant-making phase of five years in the Mountains of Central Asia in October 2019 with a budget of US$8 million. The conservation strategy outlined in CEPF’s ecosystem profile for the hotspot identified 25 biological corridors and 167 Key Biodiversity Areas in the Mountains of Central Asia, of which five corridors and 28 Key Biodiversity Areas have been identified as priority for the CEPF investment. The projects funded by CEPF in the seven countries of the Mountains of Central Asia Biodiversity Hotspot will contribute to an increased and improved management of natural ecosystems which will counteract the negative impacts of climate change. CEPF is eager to contribute to the conservation of the biodiversity of the Mountains of Central Asia, and in doing this, to put nature at the center of climate action.